Call (678) 765-2596 for a FREE Quote! 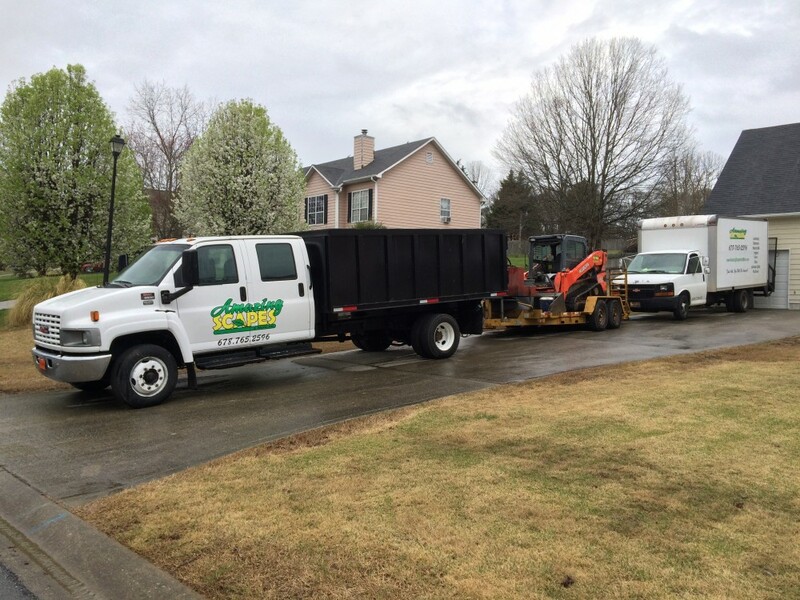 "I've never used a lawn care service before but I called Amazing Scapes and More to take care of my yard while I was away on vacation last summer. I was nervous about the grass getting out of control while I was away and coming home to an angry letter or fine from the homeowner's association. Instead, I came home to a beautifully manicured lawn! I hadn't planned to continue to use a service after the trip but everything looked so great and I didn't even have to think about it. All summer and fall, I'd just come home from work one day and everything would look fantastic! Then one day I found a water main leak in my front yard. The Amazing Scapes crew was even able to repair that the next day AND keep my grass looking wonderful! Amazing Scapes provides excellent service and it's worth every penny! I'm definitely a customer for life!" "What an impressive crew! From design to completion was total first class. Their idea's were well thought out and customized to our goals. They were so efficient and it looked like new once they left. Would highly recommend them to anyone. We were thinking on doing it ourselves and we are so thankful we didn't!!!" "AmazingScapes did a fantastic job with the creation of our patio and driveway. They were very hardworking, friendly, and offered great advice. We would not hesitate to recommend their services." "Great people, great work and pricing is very doable. Life is too short to do everything ourselves around the house. Plus a nicely manicured lawn always makes the house look better. Kind of like a good hairdo. It's the first thing people notice."